Bibi of the Blue Sea: The new version is much much better. The blending still fails though. If you can find a way to make the character blend better (the hair particularly, at this time they look so unnatural) it would be awesome. MaruDashi: Yours is fine and will be up in a few days. In the meantime you can check the preview page, which link is at the bottom of this post and let me know if you want to fix anything before I put it on the site. Hyphen: Don't forget about the Kanon one. Soul Eater has been uploaded. Last edited by Bibi of the Blue Sea; 02-13-2011 at 12:55 PM. Bibi of the Blue Sea: We are not quite there yet. The hair on the extraction is still not ok.
MaruDashi: I need to know the show/manga and the character's names. Can you please update your post? I'm not sure what to fix on the Kanon one, it looks fine on the previews, but it might be my screen res. That was the old version. http://www.animeforum.com/banner_hea...ew/ellip01.php <-- check again. Okay, I think I got it. This banner gave me so much trouble. Hyphen: The Kanon one is still not ok on the transition between the first and the repeating part. On the Vocaloid one you need to fix the repeating part. I made previews for both, so you can check. Dare I do this again? I think I fixed it this time FlashD. Anyway, the character is Sora from Kingdom Hearts. Patience pays off apparently. Here's the Vocaloid one. The Kanon one can go burn itself. That should repeat perfectly, even though it might look a bit bland now. Last edited by Xanfiore; 06-15-2011 at 02:27 AM. 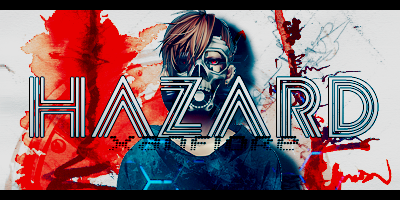 This is my first time making a banner...I don't know if it's good. I tied not to mess it up and made a simple one. Last edited by Nesh; 06-15-2011 at 05:39 PM. Hope you're enjoying this flood of new banners, Flash. Here's another one as well. Ther Post I had Deleted. Finally fixed after 1 year and 5 days. Last edited by .Tatty. ; 08-17-2011 at 09:05 PM. I want to try this.. Is there anyway to download the original psd to make sure the splices are in the correct place? The link in the OP doesn't work for me. 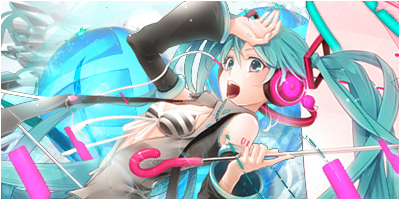 @FlashD this thread needs you help, anyways can you try to approve the Miku one, I've noticed a ton of people that have Miku avatars, signatures, etc and I'm sure it would make this place more attractive to get new people to join. If your life was a movie, how would it be rated? Anyway … @Tsumiru , no, the banners you've posted lack the slices. Also the background you've used cannot be sliced into 3 parts. @blueangel06661 , the PSD in the first page works. I'm not sure why you couldn't DL it. Would you please try again and report back? Thanks. Nope.. I click it and it just opens a blank "untitled" tab.. Finally my first attempt at an AF banner. Since I'm mod-in-training I should at least contribute a banner. Last edited by blueangel06661; 04-18-2012 at 06:16 PM. Tips for a neat banner.